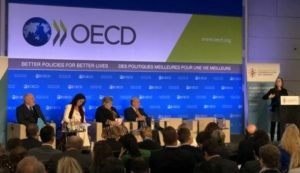 During the panel session the OECD presented preliminary findings on measuring countries’ trade facilitation performance using the OECD Trade Facilitation Indicators. These findings were based on perception and experiential data to map border-related corruption and better understand the links between the trade facilitation policy environment and integrity. One of the main findings was the positive relationship between integrity and transparency.